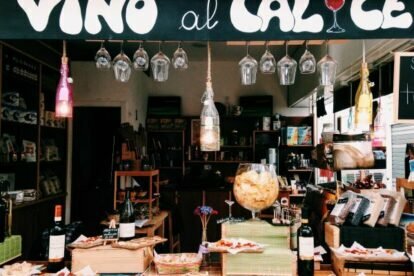 Testaccio is the original foodie neighborhood of Rome. The general markets and the slaughterhouse were the pivotal point of Rome’s foodie scene until last century, while the local food market was held in the main square until a few years ago (check the Piazza Testaccio article), when it was moved to a modern space with beautiful architectural elements recalling waves. The market houses the original produce stalls that sold their fresh products outdoors, but also many street food kiosks: my favourite is ‘Mordi e vai’, which serves tasty sandwiches stuffed with traditional Roman recipes, and ‘Romeo’, which is run by the Michelin starred chef Cristina Bowerman. Another stand that I like a lot is called ‘Il baratto’: here you can bring clothes, shoes and costume jewelry that you are not wearing anymore and swap them with others of the same value. After the market, don’t forget to wander around one of the few hoods in the city center that still manages to preserve its genuine soul!